Fire departments across the State will hold various festivities on First Responder Day. This involves everything from ringing the community fire alarm to formal 9.11 services. According to Swannanoa Fire Chief Anthony Penland, who serves the year as President of NCSFA, “these services and recognitions are wonderful, but sometimes all it takes is a positive comment or pat on the back from a member of the community”. “It’s a recognition of service and sacrifice in the past as well as sacrifice yet to come” Penland said. For information about events that may be occurring local for First Responders Day, contact your local fire department or police department. 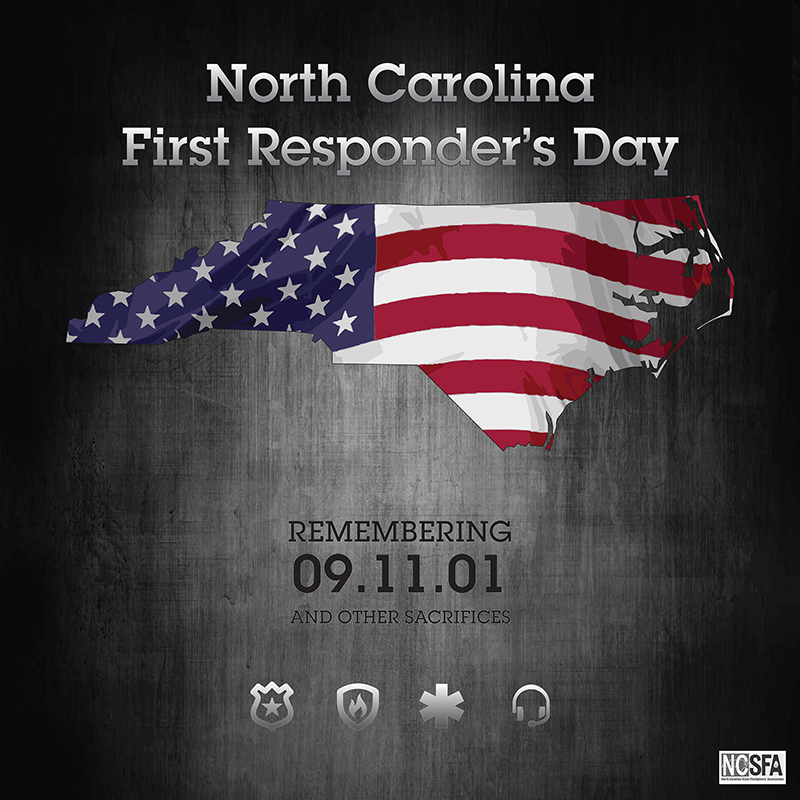 First Responder’s Day became a legal public holiday on July 1, 2017 as part of Senate Bill 257: Appropriations Act of 2017. For a copy of the original wording from the Appropriations Act of 2017 click here and for the declaration of it being made into law effective July 1, 2017 click here.